Guided walks in the Peak District, Lake District & Snowdonia. Guided walks in the Peak District, Lake District & Snowdonia. Walk up to 50 miles inside one day. In aid of Action4Diabetics. Join us here for this unique challenge! These two days are listed in the guide book as grade 1 scrambles and so they will involve some moments that are exposed and at height. But really they would be better described as airy walks. For somebody setting out to try their confidence at height you couldn’t get a kinder two days whilst enjoying some superb scenery. Saturday’s guided scrambling will lead us to the top of Snowdon. Because we’ll be headed up via Y Llwidd and Snowdon’s East Ridge, we’ll be missing out on the bank-holiday crowds. Sunday’s route will find us even more solitude from the masses as we head off in search of the Nantle Ridge. This is a delightful day on the hill interspersed with sections with scrambling up the rocks. Private bookings can be taken for this course. Contact us with your preferred date(s) that suit you and the numbers and we’ll get back to you asap with all the details. Alternatively, like the idea of a mountain scrambling adventure? More scrambling weekends here. Nature: Broken down over two days, with the right weather, this can be an easier option than trying it all inside one day – but beware, covering this distance in a weekend still remains a tough nut to crack! Note: You will need good fitness, mental robustness and a good head for heights too. Nature: A weekend of challenging walking that aims to bag Wales’ fourteen 3000ers: from Foel Fras to Mount Snowdon. For most people, bagging all of Wales’ highest mountains inside one or two days is near on impossible. Here we offer a civilised alternative – allowing you to take a crack at this challenge over three great hill days. Beware – these remain mountain days and hence a head for heights and mountain fit legs are still a pre-requisite! Private bookings can be taken to lead individuals and private groups on this guided walk from £135 per day. Contact us with your preferred date(s) that suit you and the numbers and we’ll get back to you asap with all the details. Nature: This is the KING of challenge events. Attempting to do the Welsh 3000s challenge is HARD – so why not let us help you with the guiding and logistics to give you every opportunity to achieve success. (We pride ourselves on our high success rate). 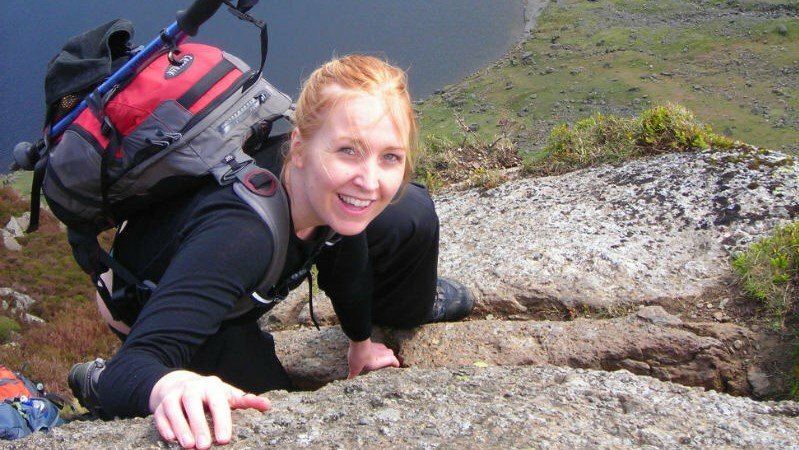 This guided walk combines true challenge with wilderness, excitement and awe – and all inside the space of one weekend! Note: We employ fresh leaders for different stages ensuring higher chances of success and increased levels of safety. You will need good fitness, mental robustness and a good head for heights too. Private bookings can be taken to lead private groups on this challenge. Contact us with your preferred date(s) that suit you and the numbers and we’ll get back to you asap with all the details. Nature: The aim of this guided walk is to introduce you to wild camping. And while you will need to be fit enough to carry a rucksack full of your kit to the top of a big Lake District hill – we also allow plenty of time for it – making this an ideal first adventure for those of you itching to try out your new tent! We won’t camp on Scafell Pike – but close enough to get some photographs from its summit as the sun sets and the light is at its best … camera and tripod could be called for! Nature: This great two day mini-trek was inspired by one of the days from Wainwright’s Whitsuntide Walk. Day 1 leads us from the lakeside of Keswick’s Derwent Water and via a high traverse of Catbells, Maiden Moor and Dale Head we arrive at the shore of Lake Buttermere. The walk is high affording us brilliant Lake District views panning two valleys either side of our ridgeline – and at the same the time the total distance is kept to a manageable 10 miles. Carry a tent, or go light and stay at the local youth hostel – either way this is a great route for all walkers. Sunday is a more palatable 8 miles getting us back to our start point not too late for the drive/train home. Private bookings can be taken to lead individuals and private groups on this guided walk from £150 per day. Contact us with your preferred date(s) that suit you and the numbers and we’ll get back to you asap with all the details. Nature: Whilst out guiding a team over Striding Edge and Helvelyn one year, my eyes spied this wonderful continuous line of hill-tops and I wondered how great a walk they must make … These two days have us stay in Pooley Bridge where there is an abundance of accommodation. On the first day we will drive south to Hartsop, leave the car(s) and walk back to Hartsop via High Street and High Raise. The following day we will take the Ullswater ferry to Howtown and then embark on our return journey to collect the car(s) from whence we left them. It’s a cracking couple of days linking up two days of walking into one fine continuous route. Nature: You can leave the car at home and travel by train to the Peak District for this wild getaway. You’ll be met in Hope on Friday night and guided in by the light of your head-torch to this remote converted barn – accessible only by foot, 4WD and helicopter (and we don’t have a 4WD or helicopter). Warmed by the large open fire we’ll talk through Saturday’s plans … if there were such a thing – this would be the haute route of the Peak District! We wake up, already on the hill and starting high so that’s where we’ll stay starting with a traverse of the southern edge of Kinder Scout. Two leaders will allow for a flexible approach so that at around the six mile point people can choose to walk the full 18 miles or take the shorter option of 12 miles back through the Vale of Edale. For those with the legs of steel the hike will continue on the high ground taking in the wonderful ridge line that stretches from Brown Knoll all the way to Lose Hill. The finale to the day is a crafty ascent of Win Hill before heading back for an endorphin high, tasty meal and maybe a cheeky glass of wine back at the barn. Sunday will be a relaxed walk back to Hope – to enjoy coffee and papers in the cafe before the train or drive home. Accommodation: Crookstone Barn (included). The barn sleeps 23 in four bunk rooms – but we’ll be limiting numbers on this weekend to 12. Note: sleeping bags will be required. Nature: If you had a spaniel that never got tired out then this winter day’s challenge would be it’s nemesis. Here we combine the first two days of the Penine Way and do them in reverse and for good measure, it’ll be a winter’s day short on daylight and probably with a blanket of patchy snow to hinder our way too. If it’s a challenge you seek, seek no further. If you have fit legs, built in night vision, a love of man-eating-bogs and a warped sense of what makes for a great weekend, this weekend’s wander is for you! See also our Free Walking Weekends page for some free weekend walks in the Peak District. Private bookings can be taken to lead individuals and private groups on this guided walk from £195 per day. Contact us with your preferred date(s) that suit you and the numbers and we’ll get back to you asap with all the details. With our public rights of way and historic access land Britain offers a wealth of brilliant walking. Here are a handful of other choice walks you might like to book a leader for … Perfect for special occasions such as birthdays or anniversaries, or for groups on walking holidays, we can tailor a day (or days) to suit you. Chrome Hill and Parkhouse Hill – the locals call this the Dragon’s Back … and when you see it you’ll realise why. Easy to organise a walk that is short and within a half day – though a steady head for heights might be necessary for a climb to the top! This walk is easy to access from Bakewell or Buxton. Spend half a day or a day exploring the Monsal and Lathkill Dales situated between Bakewell and Buxton– wonderful walking combining hill tops with valley bottoms. 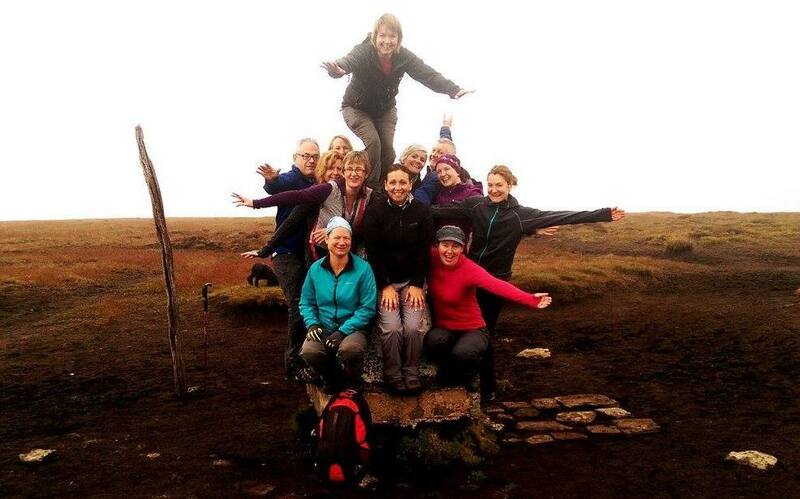 Bag the park’s highest hill – Kinder Scout. A traverse of the edges or an adventure of peat bogs and aircraft wrecks. If you want us to take you up here it would be best to allow a day to do so. Close to Castleton, Hope, Edale. Marsden to Edale – Leave the car at home – and use the train to access this great walk which aims to cover the first two days of the Penine Way (in a single day). This is an arduous day’s trek across the toughest terrain the Peak District can throw at you … The route traverses approximately 25 miles of rough, wild, moorland and is unrelenting in its challenge with the culmination crossing the highest point of the Peak – Kinder Scout. Home to England’s highest mountain, Scafel Pike, this is a vast national park offering low level strolls and high top adventures alike! Near Ambleside is the Langdale Valley offering a great starting point to access hills near and far. A circuit of the Langdale Pikes is a classic day out taking maybe 6 or 7 hours. 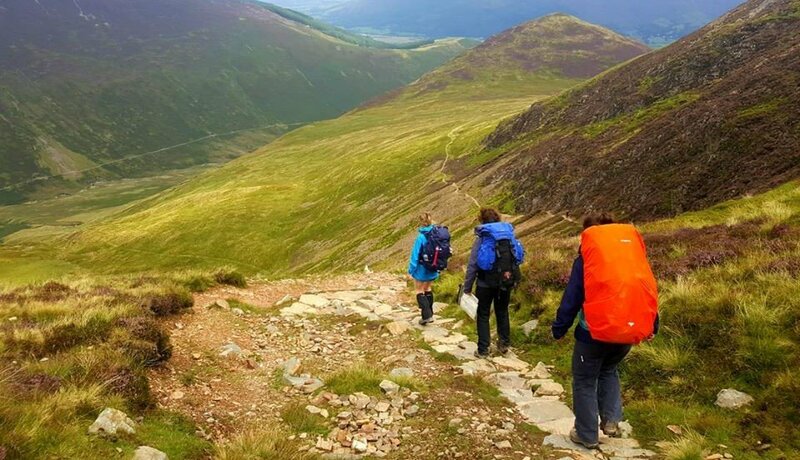 From Keswick, easy or hard walks are easily found amongst the hills of Cat Bells or further afoot to Glaramara and Great End. If exposure to height isn’t a problem a great day out is to climb Helvelyn from Glaramara – up and down in a longish morning is easily achieved. Home to Wales’ 14 highest mountains in one fun-packed national park, Snowdonia’s wonderful jagged spires offer simple walks or full-on mountain adventures – croeso! 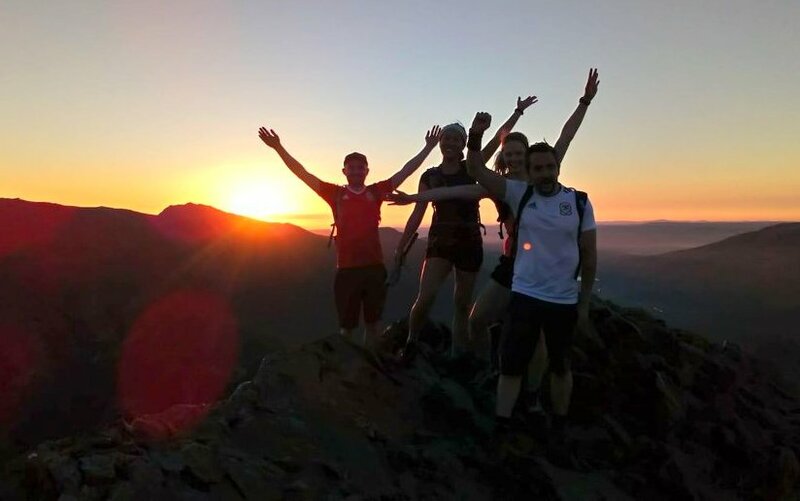 Climb Wales’ highest mountain Snowdon. Now there’s a right way to do this mountain, a wrong way and an adventurous way … Join us for an ascent of this one and we’ll do our best to find the right way for you and maybe try something a little more off the beaten track too. If it’s an adventure you want we will also happily guide you along Crib Goch too – but a head for heights is vital for this option. A traverse of the Carneddau offer you the opportunity to bag 6 of Wales’ highest peaks in one day – and if you can leave a car at one end, a fabulous route that links up all the summits of this ridgeline takes you 18 miles from the coast at Conwy to the A5 in the Ogwen Valley. Wonderful day! Y Garn and the Nantle Ridge is a wonderful ridgeline to explore and well out the way from the usual honey pots – with many options taking us from 3 hours to 7. Nature: 25 miles – this is the original Three Peaks Challenge – a North of England classic and an ideal first experience for the adventure trekker. Starting and finishing in Horton in Ribblesdale and working clockwise we’ll attempt to walk the three highest hills of Yorkshire inside 12 hours. Nature: Everyone loves this hill – the highest in South Wales: for its beauty by walkers and for its challenge by the SAS. However you take it – you can be sure of a great weekend on the hill with these great two days in the Brecons. Nature: Hadrian’s Wall Path is the popular National Trail shadowing the historic line of Hadrian’s Wall. Here’s a choice selection spanning around 28 miles of the route which leads us on an historic journey through rolling hills taking in the rugged and beautiful British countryside with a healthy dose of Roman engineering! For further trekking and walking holidays and treks overseas see our Trips. Wild camping – it’s natural, it’s organic, it’s low carbon footprint and everyone’s talking about it. It’s the new ‘in thing’ and it’s about time that you tried it! Normally when you go camping you would book into a roadside campsite – pay your money and erect your tent next to your car. When you are wild camping you walk several miles into the middle of nowhere, select your spot and pitch your tent. It’s that simple. True you have to carry your tent, and there won’t be a shower block when you get there. But there is a certain excitement and romance about solitude in the wilderness. And it doesn’t matter what the weather is like – it can be absolutely storming and howling or a beautiful vista out there, either way you’ll be chuckling with excitement – it’s really that great. Perched on a hill, away from noisy neighbours and busy roads a whole new feeling of contentment and joy will strike to your very core. Get it right and it’s brilliant. (We can provide the tents too).